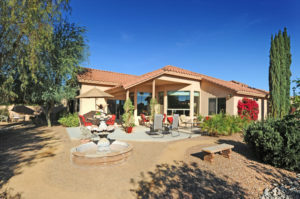 Sun Lakes real estate available at 24214 S Cactus Flower Drive. 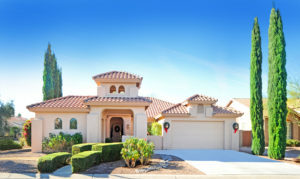 You are here: Home / Chandler AZ Real Estate / Sun Lakes Real Estate Available – 24214 S. Cactus Flower Dr.
Sun Lakes Real Estate Available – 24214 S. Cactus Flower Dr.
New Sun Lakes AZ Home available at 24214 S Cactus Flower Dr. This stunning, extended Milano with custom features is sure to please even the fussiest of buyers! The home is warm and inviting with updated decorative paint and accent walls throughout. Plus, the guest bedroom, master suite and great room are all extended, and there is tile flooring in all areas except the bedrooms. The kitchen has granite counters and a breakfast bar that overlooks the extended family room. Here, you’ll find a large picture window and patio access to a whimsical, garden area. And if you want a spacious master suite, this home offers a custom, glass-block walk-in shower, extended walk-in closet plus a separate closet and linen closet. The guest bedroom is extended and split from the master with a nearby guest bath. And there is even a separate office space or den area for you to enjoy. You’ll love the extended patio on this large corner lot. And did we mention the resort amenities too? Part of the gated Oakwood community with an on-site guard and concierge, you’ll be able to access: golf, tennis, pickle ball, a heated pool and spa, a workout facility, a clubhouse/rec room, biking/walking paths, and more. Check out all of the details for this home here. But hurry! This spacious, Sun Lakes real estate won’t be around long!